(New York, NY) – Reviver Entertainment Group today announced the formation of a new record label imprint, DAVMORECORDS. 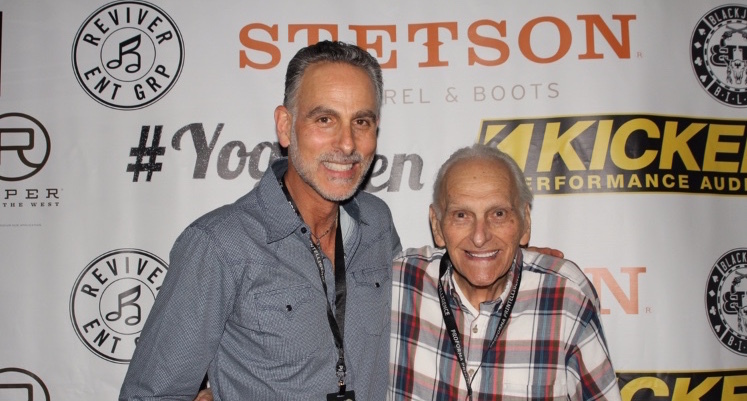 Named in honor of Reviver CEO David Ross’ father, industry veteran Moe Shulman, DAVMORECORDS will operate under the Reviver Entertainment Group umbrella under the direction of Gator Michaels, who will also remain, President of Reviver Records. The label, designed to accommodate multiple artist signings within the past year, will serve as the new home for Reviver Entertainment Group artists Thompson Square and Aaron Goodvin. For more information, please visit www.davmorecords.com. Moe Shulman, the “Mo” in DAVMO, is an industry veteran of 8 decades. He was the head of National Promotion and Marketing at London Records and has worked on campaigns with The Rolling Stones, ZZ Top, Tom Jones, at the label and its subsidiaries. He’s experienced a colorful and varied career in music, having worked in publishing in the Brill Building and spearheading the promotion department at Alpha Distributors in the northeast, and achieving dozens of #1 records for labels like Motown, Arista, and A&M records. Reviver Entertainment Group SVP Promotion Bob Reeves and VP Promotion Jim Malito will oversee the DAVMORECORDS Regional Promotional Representatives. Reviver Entertainment Group VP Marketing Paul Williams will act in that capacity for the new imprint as well. Founded in 2011 by industry veteran David Ross, The Reviver Entertainment Group, LLC, home of Reviver Records (with offices in Nashville, New Jersey, Phoenix and Pennsylvania), boasts an artist roster that includes veteran hit-maker and No.1 singer-songwriter David Lee Murphy, Platinum-selling hitmakers Big & Rich and Thompson Square, No.1 hit-maker/singer-songwriter Michael Tyler, rising stars Tenille Arts, Aaron Goodvin, Haley & Michaels, Blackjack Billy, the iconic Carter Family, John Carter Cash, Johnny Cash and the legendary Rock and Roll Hall of Famer (2009) Little Anthony.